This incredible momentum overran Mosul, Iraq’s second largest city, and most of northern and western Iraq in just a matter of days. 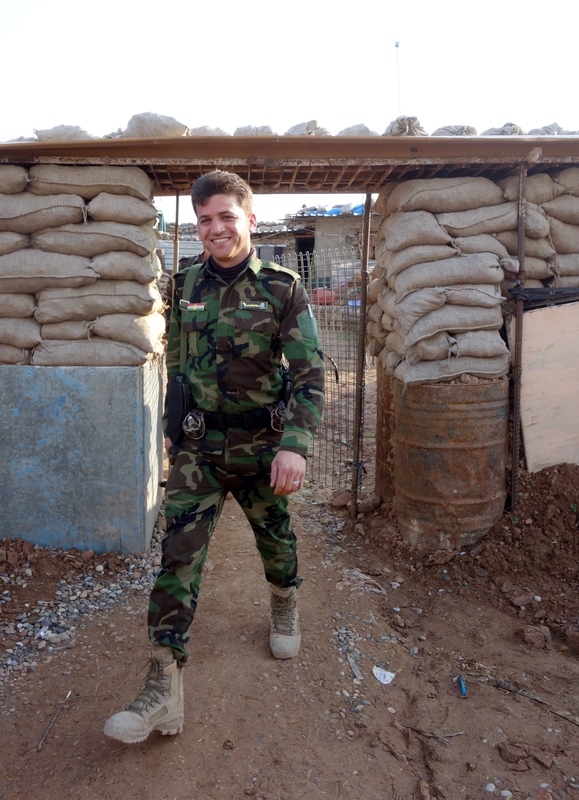 Regardless of one’s feelings on the Islamic State, it was an extraordinary feat. However, it must be noted that this successful invasion by ISIS did not come about by chance. The core leadership of the Islamic State is made up of former intelligence operatives and military officers from Saddam Hussein’s era. These men are good at what they do and underestimating them has always proven to be costly for their enemies. For years before the actual invasion, ISIS had been identifying weak points, inserting sleeper cells into intended target areas and conducting an assassination campaign in order to favorably prepare the battlefield for the day of their arrival in force. When they struck, they attacked with very mobile forces and tremendous speed. Holding territory was not a focus. Such a strategy is very difficult for a conventional army to respond to, particularly one as corrupt, poorly motivated and disorganized as the Iraqi military forces in the region were at the time. The freedom from concern about consolidating and holding territorial gains was a result of the extreme sectarian policies of the Shia government in Baghdad that had antagonized the majority Sunni populations along the future ISIS invasion routes ever since coming to power. 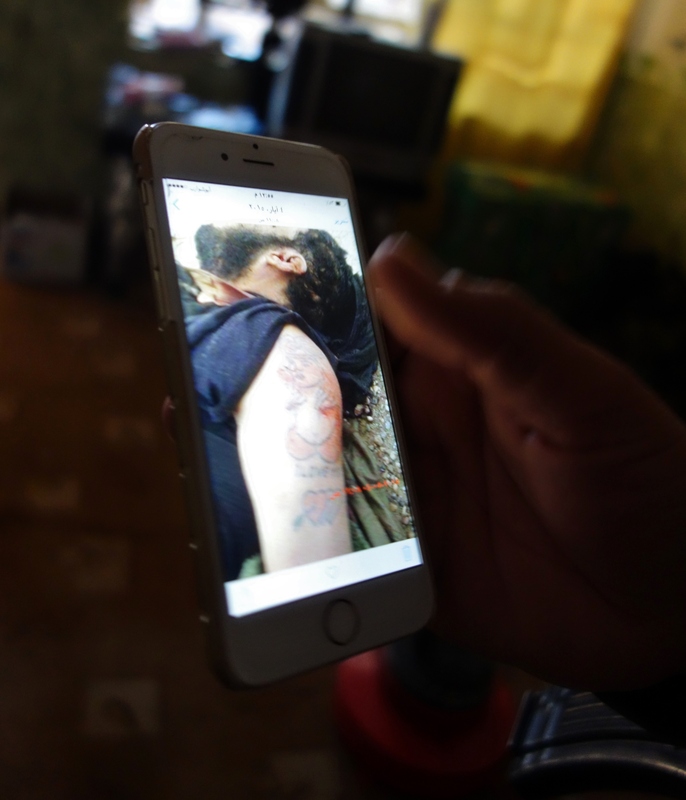 Most members of these Iraqi Sunni populations viewed ISIS as an alternative that could certainly be no worse than what they were currently enduring under Iraq’s Shia government, and potentially offered a superior alternative. Kurdistan is a different matter. 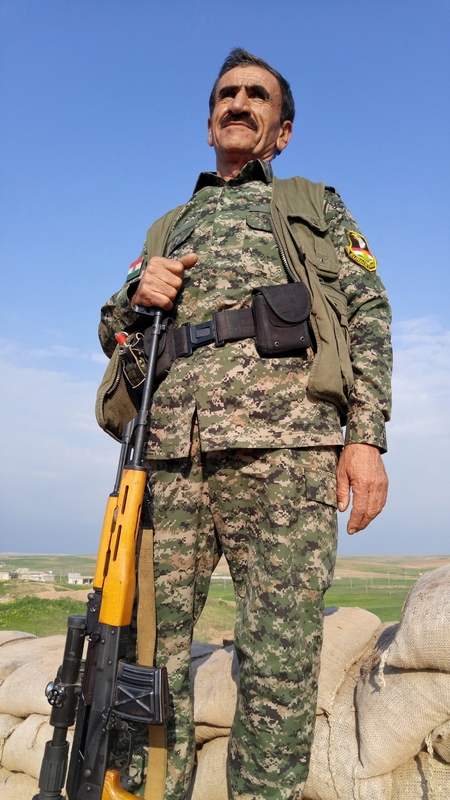 The Kurds have been effectively independent since the institution of a no-fly zone in northern Iraq at the conclusion of the Gulf War of 1991 and, thus, an invasion by ISIS meant not liberation for them, but death, destruction and the end of the dream for a country of their own. 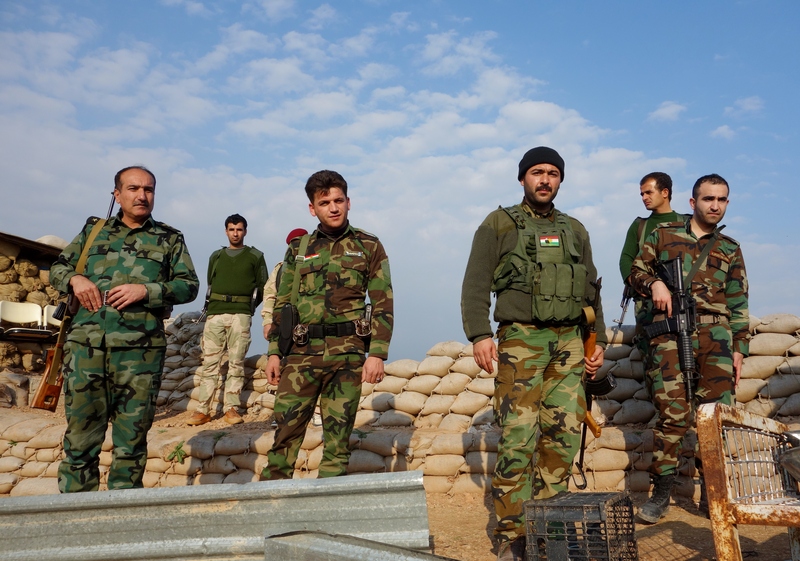 With the backing of Western air strikes, rapid mobilization by the Peshmerga and Kurds from around the world rushing home to join the fight, a Peshmerga counter-offensive has pushed the territory controlled by the Islamic State back to the outskirts of Mosul. 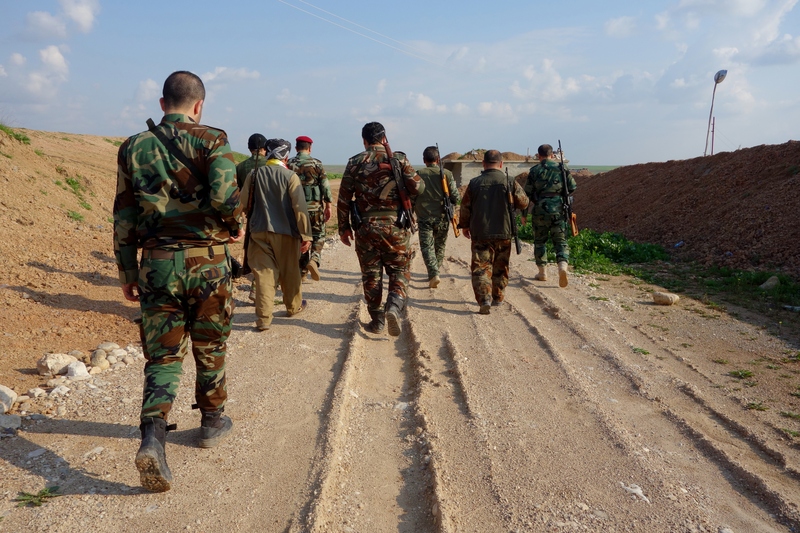 However, here, the counter-offensive has ground to a halt… The Kurds are not able to advance on Mosul on their own and, even with help from others, they are certainly not willing to do so without something to be gained from it. 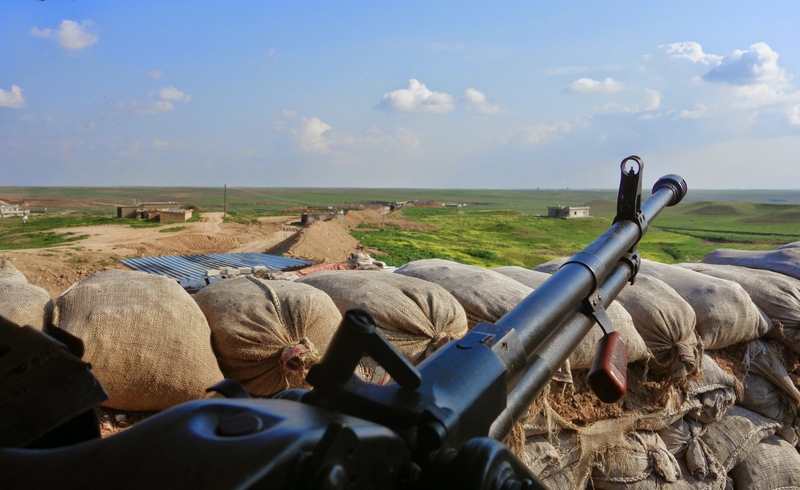 But, consider how the Kurdish position has changed during the course of this war… The presence of the Islamic State has evolved from being a threat to the very existence of Kurdistan into a nation-building exercise by the Kurds. 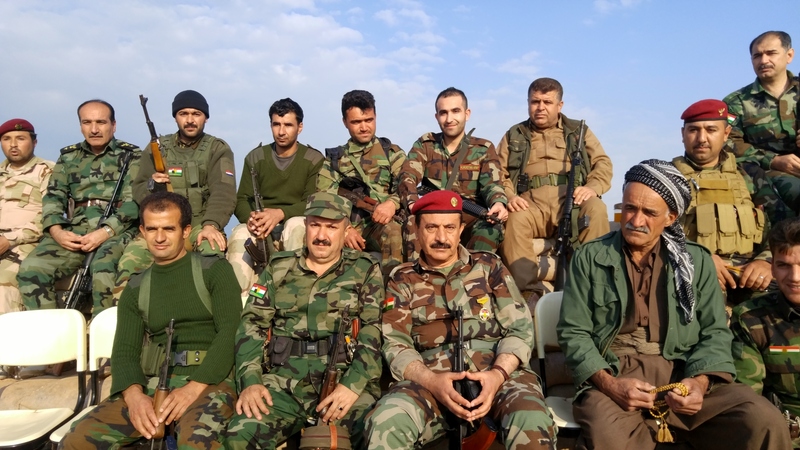 They expect to invade all of the territory east of the Tigris River and, as a reward for their involvement in the fight, they expect to keep that territory. Negotiations between the Kurdistan Regional Government, the official Iraqi government, Iranian interests, the Americans and their Western allies, and all of the smaller players in the region are taking place in smoky back rooms at this very moment in order to bargain and negotiate out the future of the region. 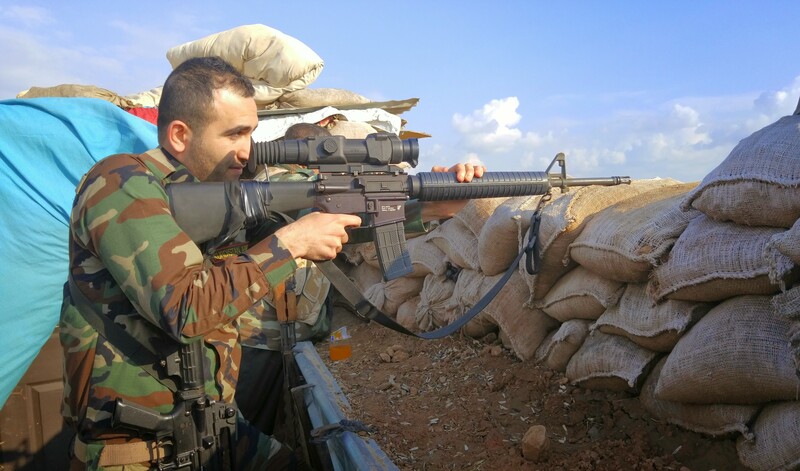 It is now up to the Kurdish politicians to make continuing their paused offensive worth it for the Peshmerga. 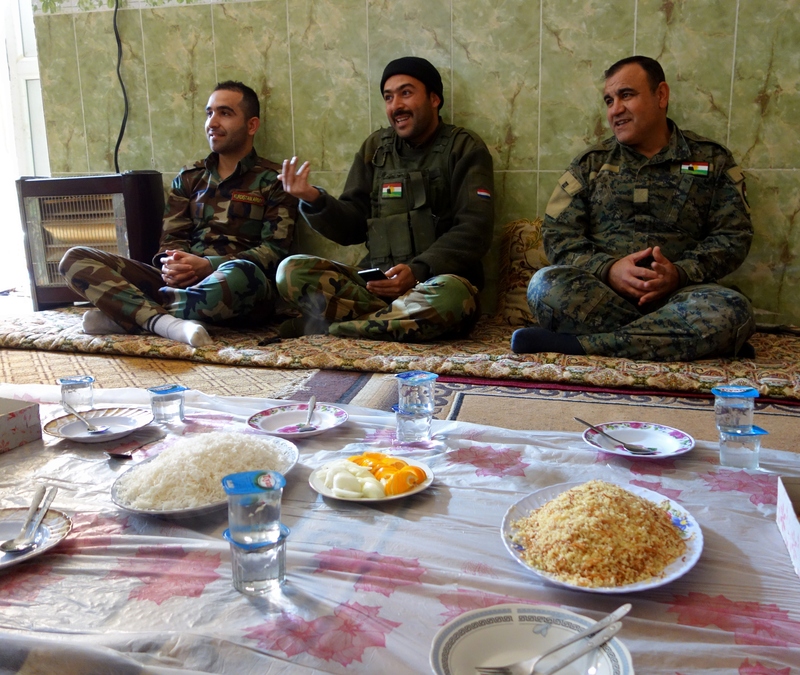 As such, the most significant fight for Kurdistan and the Peshmerga is not on the battlefield at the moment, but in a conference room somewhere. Once all the parties have agreed on what the future of Iraq and the broader region will (or at least should) look like, we can expect the offensive to recapture Mosul, which the Islamic State has controlled since June of 2014, to begin in earnest. This day is coming. Soon. 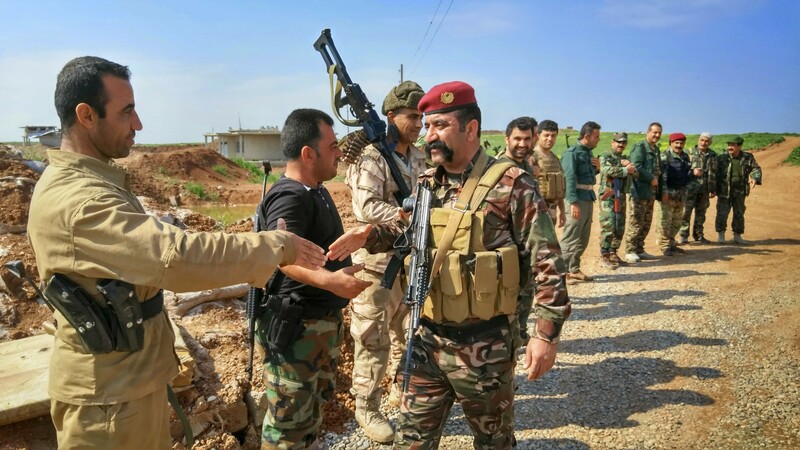 Thus, the atmosphere on the front lines is one of edgy impatience as the fighters on both sides know the history-making battle for control of Mosul is drawing near and that the stakes for all sides are very high. 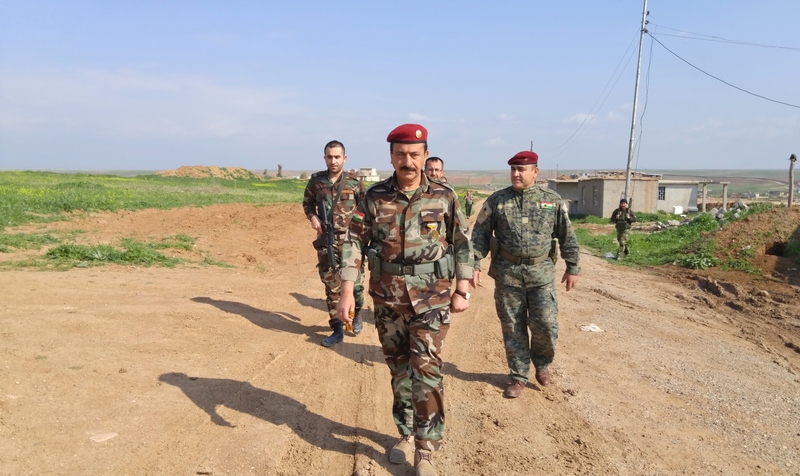 It is in this environment that General Sarhad Anwarbag Betwata heads out to a series of outposts that are on the edge of the area under his command… These outposts that he will visit on this trip form the front line against the Islamic State positions outside of Mosul. 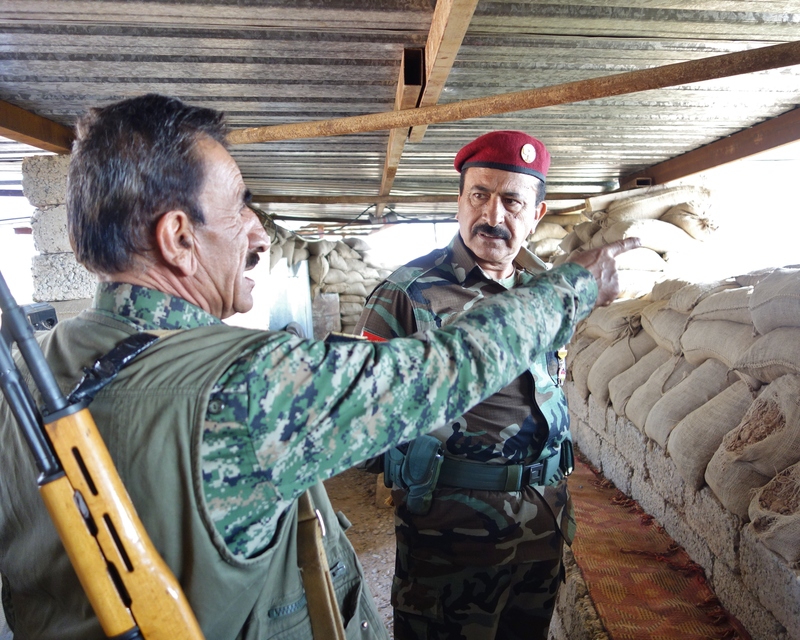 As both a Peshmerga commander and a powerful tribal leader in Kurdistan, General Sarhad Anwarbag has more than 5,000 men under his command. He intends to visit these soldiers as often as possible in order to maintain morale, to stay in touch with developments on the battlefield and to prepare his men for what will likely be the biggest battle of their lives. 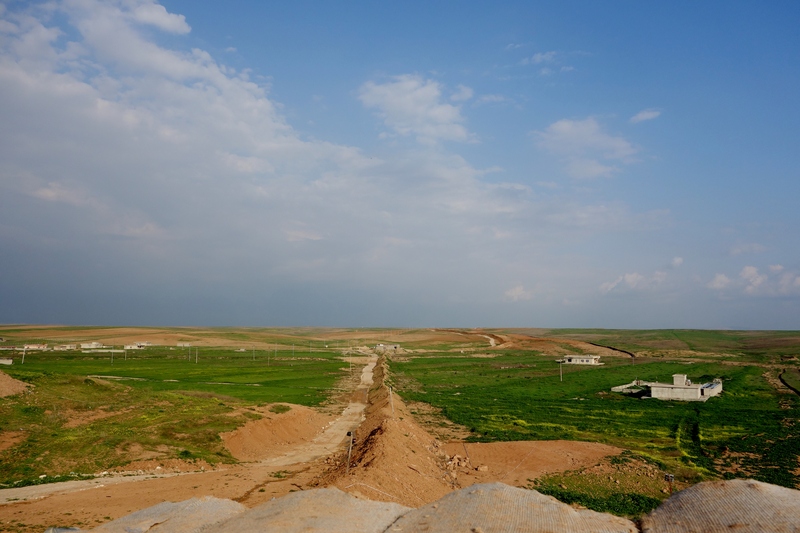 These particular outposts are within villages whose populations were mostly Sunni Arabs. 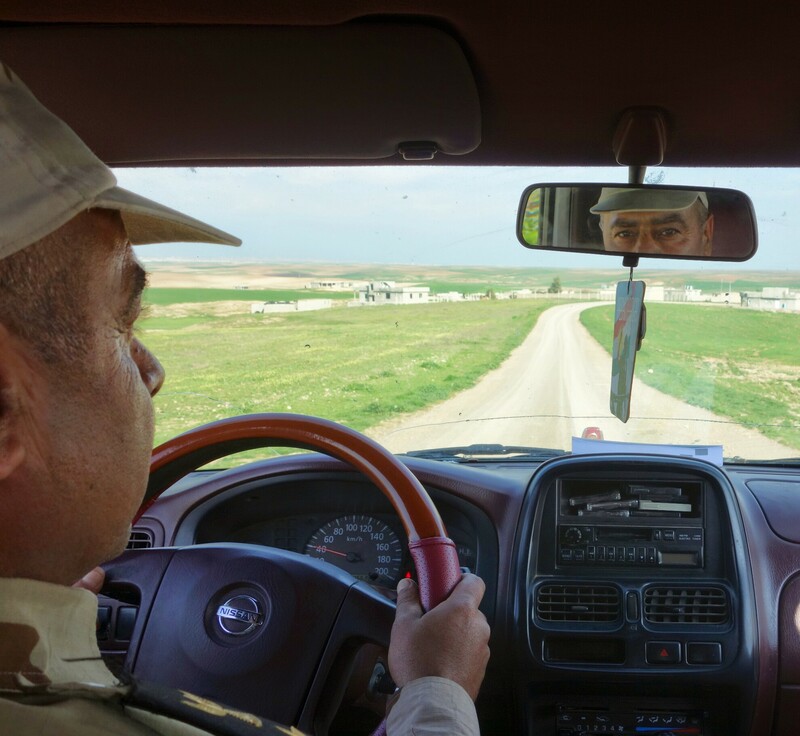 Fearing reprisals at the hands of the Peshmerga for their prior support, or at least sympathy toward the Islamic State, the residents have fled. 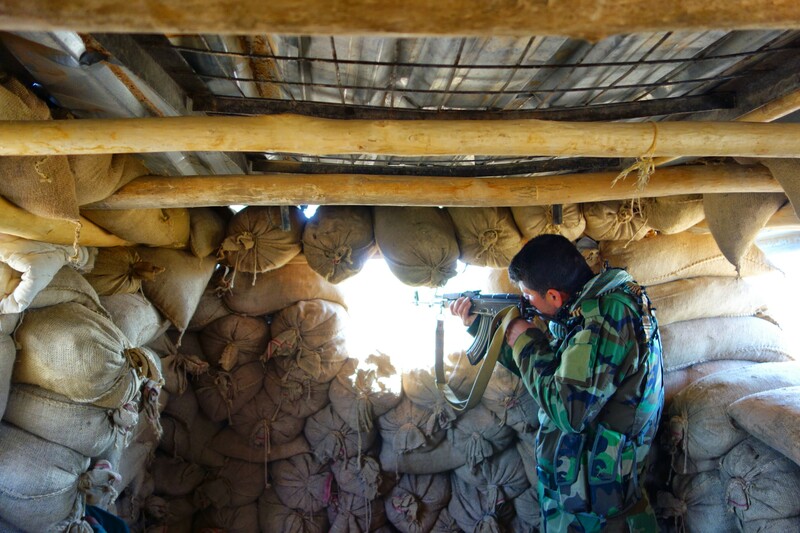 As such, the Kurds have established themselves within abandoned homes that they have fortified and formed into defensive patterns. 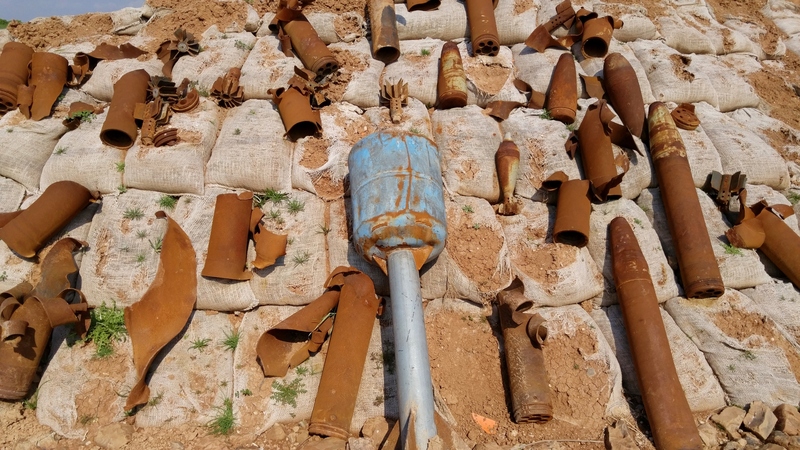 In other towns and villages, it is the range of the Islamic State mortar teams that often determine which residents are willing to return to their homes or not. 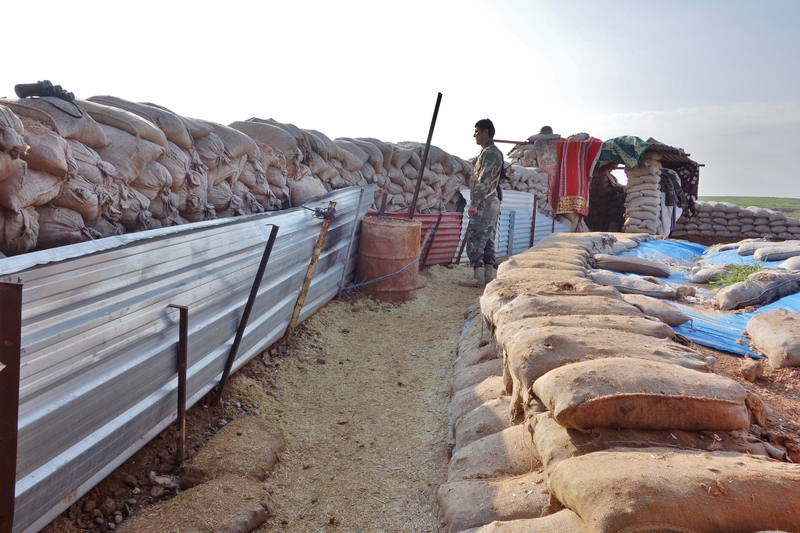 The Peshmerga are still in the positions you see pictured and so, at least for now, I am going to provide less of an overview of the area and the positions they have set up than I might normally. 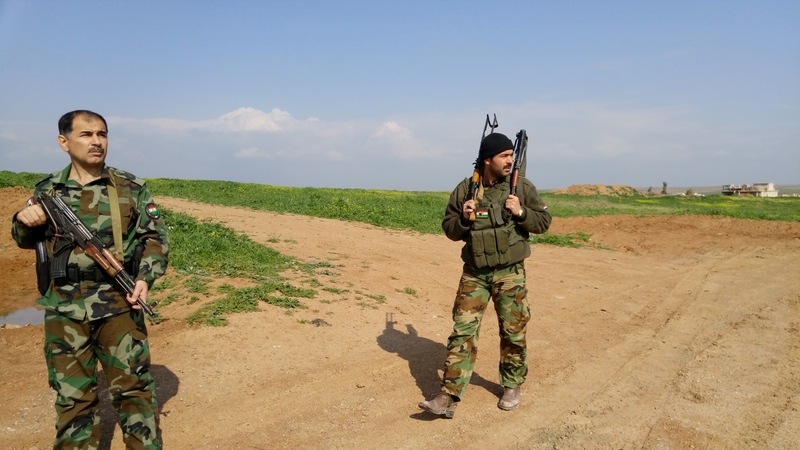 There are rumors of Chechen fighters in the area and the Peshmerga are not keen on getting into a battle with a group of Chechens – the Chechens are the fighters the Peshmerga respect the most on the battlefield. General Sarhad Anwarbag is here as well and speaks with as many of the men as possible. Unless the mortars are falling very close to their position, the Pesh enjoy going up to the roofs to watch the show. On this occasion, the ISIS mortar teams began bracketing our rooftop vista and all of us decide that it might be best to visit a nearby bunker for the next few incoming rounds. It turns out to be a good decision. Part of the reality is that the Western powers are tip-toeing around in the region with the Kurds for fear of upsetting the government in Baghdad. The Western powers are still advocating the idea that Iraq can survive as a successful, unified country and, therefore, much of their support goes to the official government in Baghdad despite the poor performance of its forces on the battlefield and its role in creating this catastrophe in the first place. It should be added, however, that the Shia militias in the region farther to the south present another reality by claiming that the Kurds get all of the weapons and support from the West and that they don’t get anything. 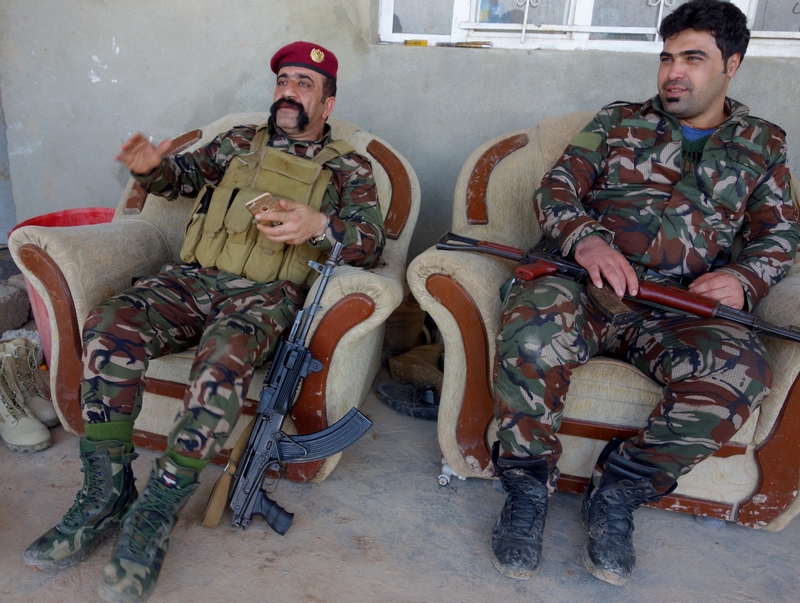 Further, they accuse the Kurds of selling the cornucopia of weapons that they regularly receive in the weapons bazaars of Kirkuk, where the Shia militias then buy them to equip their forces. Despite the light atmosphere inside the outpost this evening, the guards outside are always vigilant. 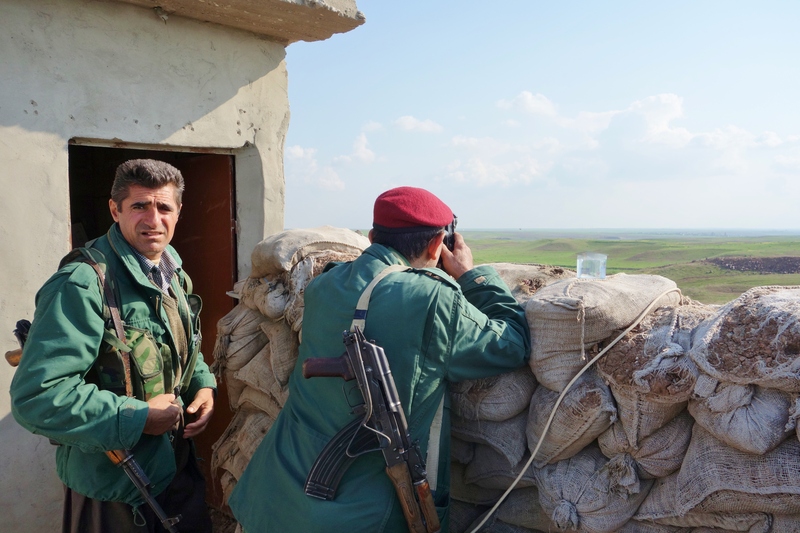 As the Peshmerga have halted their counter-offensive pending the outcome of the negotiations described above and the Islamic State is presently unable to launch another major offensive to try and reclaim the territory they held and then lost, the front line has become static and taken on the appearance of a World War I battlefield. Berms, trenches and bunkers course across the landscape and mud, the bane of a World War I soldier’s existence, proves as much of a headache for the soldiers in this century as well. He tells me later that he deeply feels the heavy responsibility of his position. Iraqi Kurdistan is the closest among all countries with Kurdish minorities to becoming a truly independent nation for the Kurds, rather than just an autonomous region in a country whose majority is openly hostile to the Kurdish people. 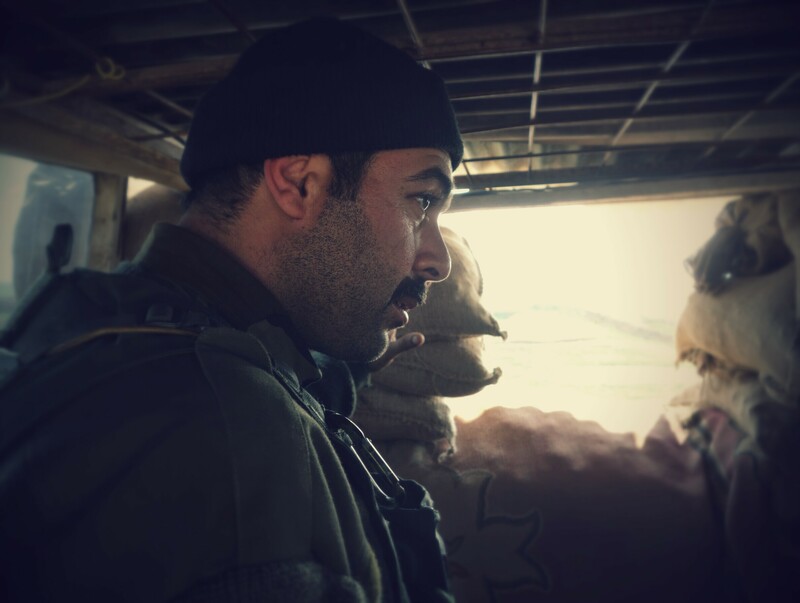 A homeland has been a dream of the Kurds for generations and in the context of this region and this war, it is impossible to not make comparisons to the founding of Israel. 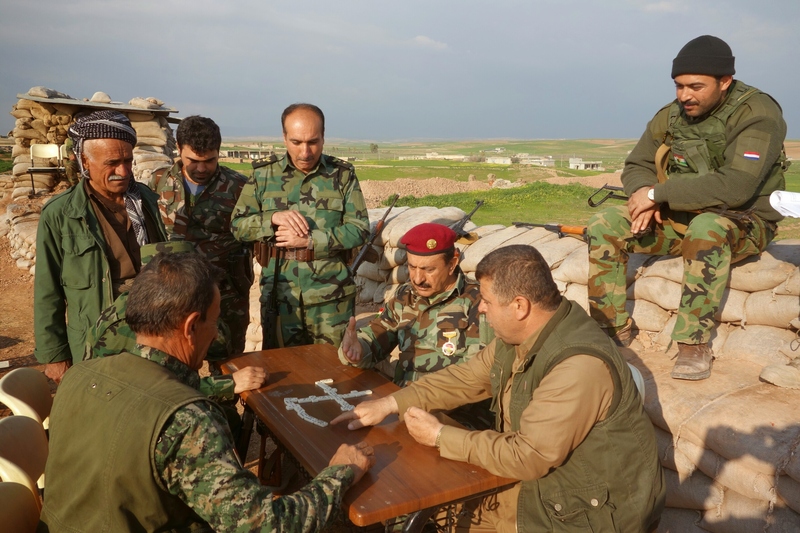 The Kurds are playing the role of the Jews before Israel was created and now they are on the verge of creating Israel. 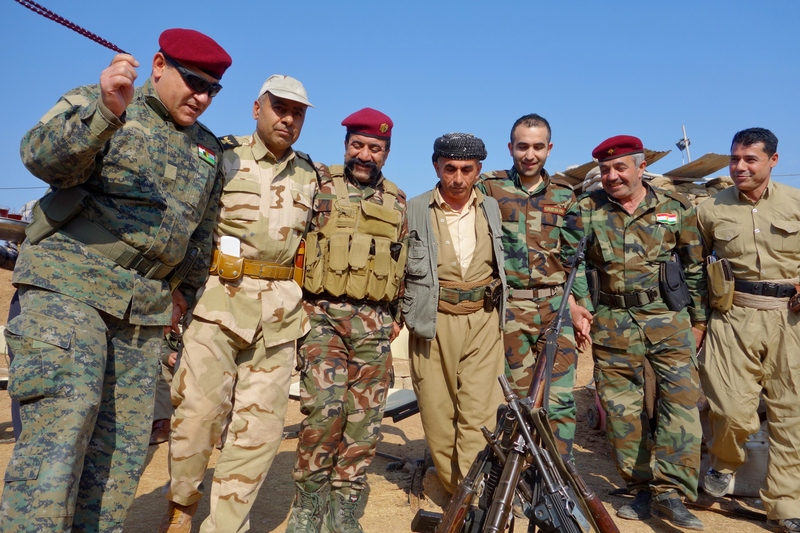 The general is a key player in helping to build this nation of Kurdistan. Tags: Betwata, Eleonora Giuliani, Iraq, Iraq War, Justin Ames, Kurdistan, Masghalat, Mosul Invasion, Peshmerga, Peshmerga at War, Peshmerga in Battle, Peshmerga in Combat, Sarhad Anwarbag Betwata, war. Bookmark the permalink. Previous post ← Leaving Khartoum? Where Are Your Papers? Wow. So many great items of interest and updates. Good pics also! And, “Once all the parties have agreed on what the future of Iraq and the broader region will (or at least should) look like, we can expect the offensive to recapture Mosul, which the Islamic State has controlled since June of 2014, to begin in earnest. THIS aspect I could understand…. 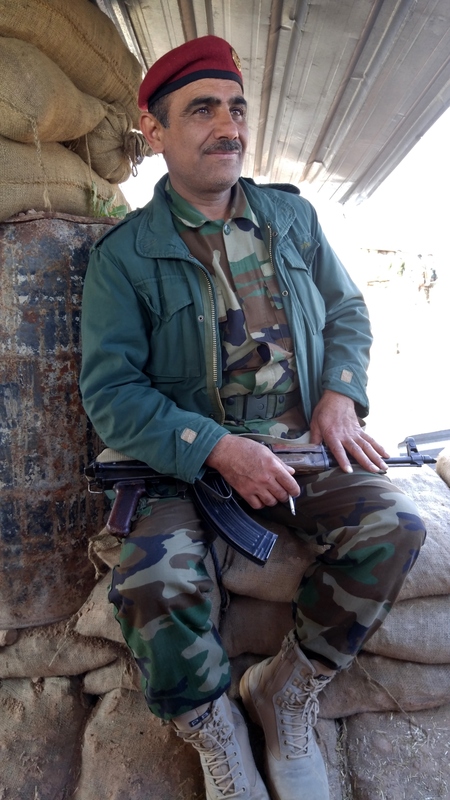 “There are rumors of Chechen fighters in the area and the Peshmerga are not keen on getting into a battle with a group of Chechens – the Chechens are the fighters the Peshmerga respect the most on the battlefield.” Is there in idea as to the number of Chechen fighters with ISIS? 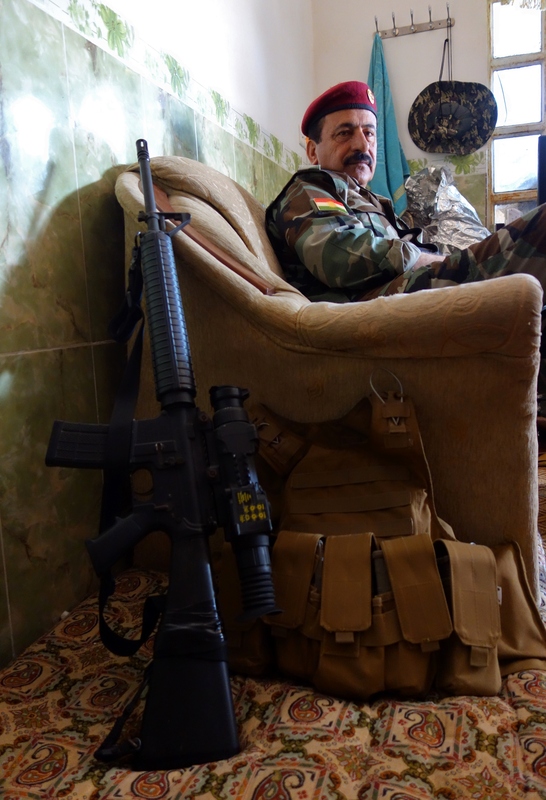 It indeed is surprising that when you consider the Coalition employed against ISIS, that – with the Peshmerga being at the “tip of the spear” – that the Kurds would be getting flooded with fairly new / advanced weaponry, comm gear, etcetera… and also a LOT more SpecOps advisory / MTTs from the United States, the UK, Australia, France, Jordan (who have some unrecognized top notch personnel / teams); to also aid in calling in MORE surgical air strikes (more with smaller bombs on local targets rather than dramatic 2,000 pound bombs on supposed “strategic targets”). And with the insertion of more drones both could easily be done. 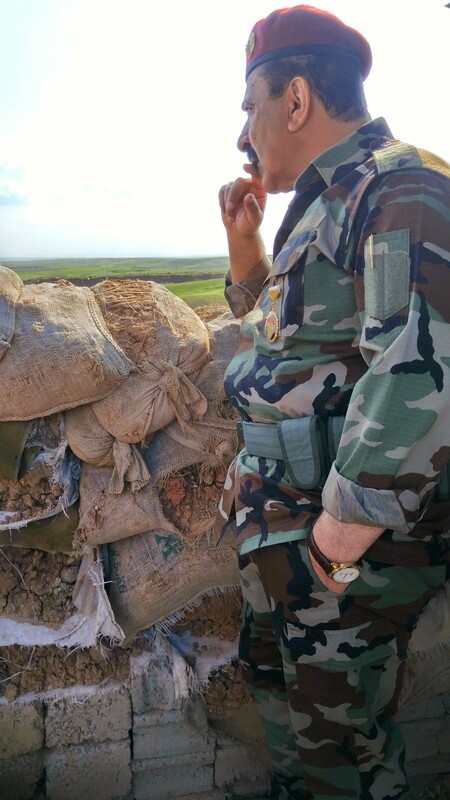 I have seen reports indicating that several thousand men from the North Caucasus have journeyed to Syria to join the fighting there. I do not know what percentage of these are Chechen, but those not intimately familiar with the Caucasus region tend to lump everyone from there into the “Chechen” category regardless of whether they are actually from Dagestan or Ingushetia. A remarkable job of reporting and photography on a confusing piece of history in the making. But we at home wish you’d stop taking such risks. On your videos, we hear the gunfire and explosions and see the firefights. We see your front-line photos, and read your descriptions of imminent attacks. It’s very difficult for those of us who know and love you and your dear one who accompanies you. Outstanding piece of war correspondence. Will have my sons read it. Amazing so well articulated article my friend. 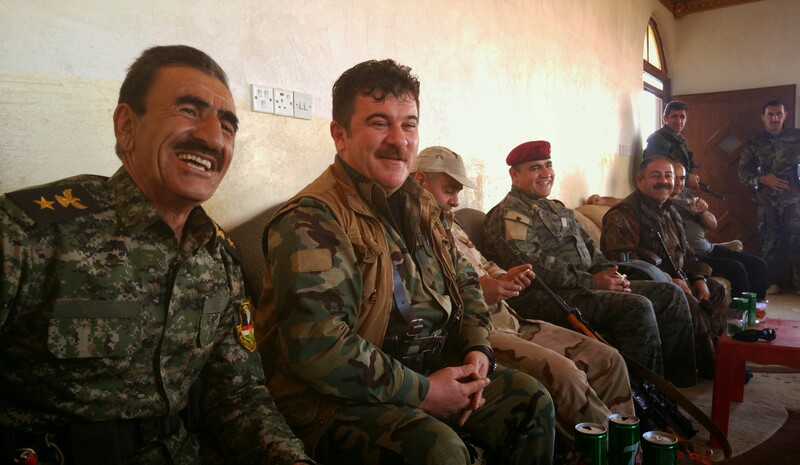 Question: how have things changed between the Kurds and the Turks since the advent of IS?